Things have been hard recently, and I think will continue to be so for a while, if it were just Edward and school, that would be bearable, but there other boring stuff which I will not drive you all to sleep with! I would also like to say a big thank you to Julie , who sent me a lovely card and some sewing pick-me-ups! 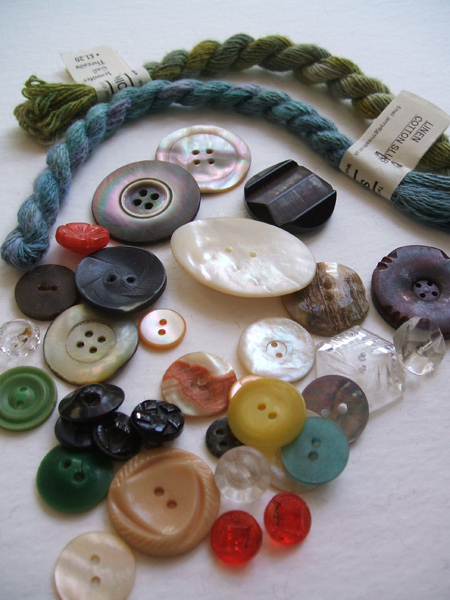 Some wonderful buttons, and fantastic thread, which I think will make its way into some felt! Thank you!!! Yesterday we had an Inset day and so the boys and I went out for the day with one of their Nanas to Paultons Park. If you know the south of England you will probably know about this place, and that it is ‘a Hoot, Hoot!’ I will not try and explain to anyone else! We had a great day, Edward watched and William and I went mad on the rides, no queuing, lovely weather and great fun, I will leave you with this image, me going down the Waverunner, with William deciding if he would join me, he did, and we went down it twice more, it was my favorite! Yes you can see a person but no more detail, perfect photo of me on any ride, most I have the most awful double chin!!!! 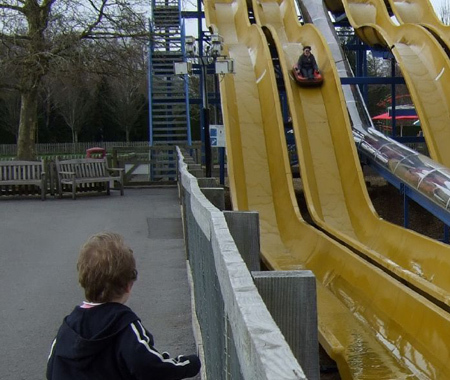 That looks like great fun – you’re obviously a daredevil mum. I would take a lot of coaxing to go down there – have lost my thrillseeking gene since having kiddies! It’s nice when you get an unusual inset day as you can go places like this and not have to endure huge crowds – looks like you had the place to yourselves! Glad you got the package!